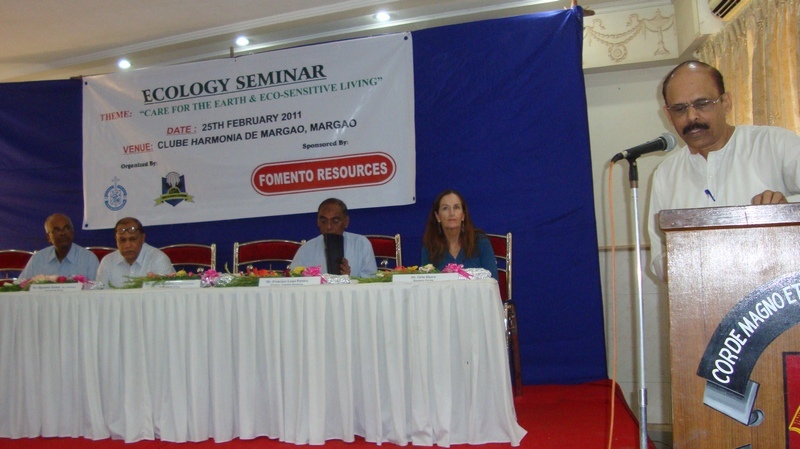 Margao, Goa: Over a hundred teachers, Principals and alumni came together in the famous Clube Harmonia for a One day seminar on eco-sensitivity and eco-friendly living. The program was ably organized by the alumni of the 150 year old Jesuit run Loyola High School. This entry was posted in Tarumitra and tagged Anthony Da Silva, Augustine Misquita, Belgaum, Benito Fernandes, Bio-reserve, Digambar Kamat, Durga Shirodkar, Goan Jesuits, Jesuits Goa, Loyola Margao, Luisa Mascarenhas, Roland Coelho, Shaefali Lendhay, Tarumitra, William Rodriguez, XTS, XTS Belgaum on March 13, 2011 by tarumitra.